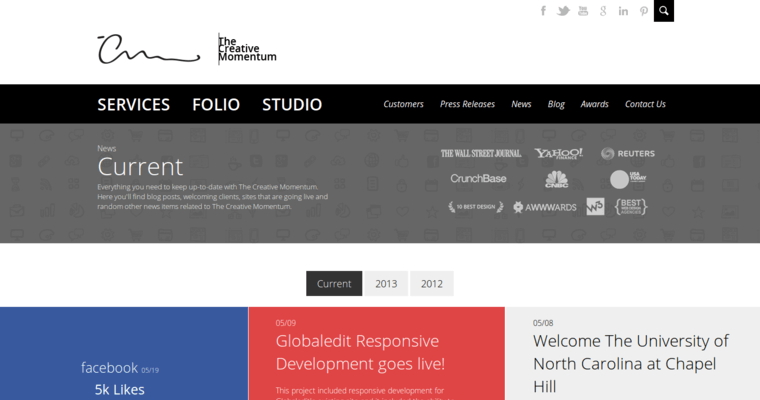 The Creative Momentum is a web design and development agency located in Atlanta. They create custom websites that visually stand out from the competition, and these sites possess an intuitive architecture that provides a positive user experience for visitors. This, along with content that gives visitors all the information they need, increases the likelihood of visitors converting into customers. 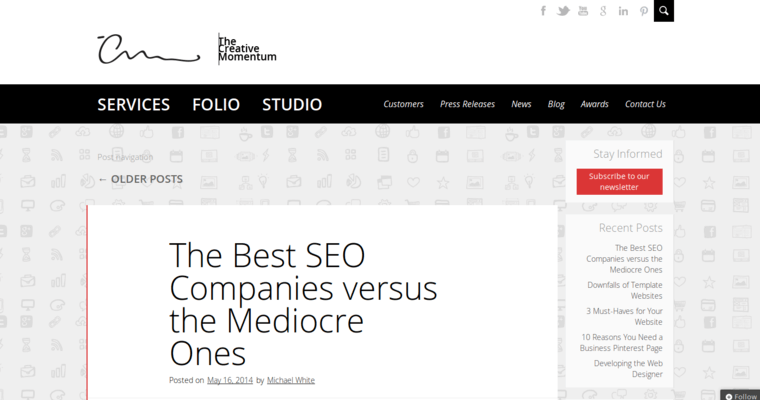 The Creative Momentum ensures that their websites perform exceptionally across varied browsers and internet devices. They have the knowledge to seamlessly integrate forms, calendar and event scheduling systems, flash presentations, videos and photo galleries into their sites. Content management systems are integrated as well, so clients can easily make any desired changes. Search engine optimization is always on their minds when they are putting together a new website. 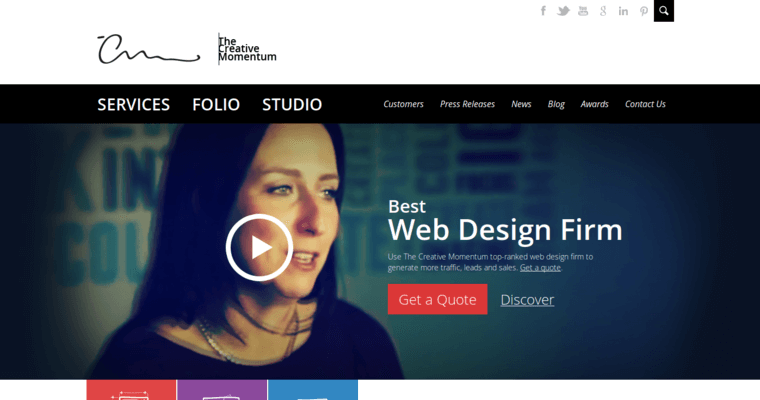 The Creative Momentum can also help you with their pay-per-click management and other marketing and advertising services to get your new website in front of potential customers.